Queen + Adam Lambert have announced live shows for 2017 which will see the band return to Europe later this year to 24 arena dates which will showcase a spectacular new stage production and a set list which the band hints will provide some surprises. The band will play their only show in Belfast at The SSE Arena, Belfast on Sunday 26th November. The tour continues across Europe and the UK until mid-December with the final show at London’s Wembley SSE Arena on December 15. Tickets are priced from £74 (inc. booking fee) and go on sale this Friday 21 April at 9am. Tickets are available from Ticketmaster. For their 2017 tour, the band will unveil a brand new show including a specially designed state-of-the-art production. The choice of performance material will no doubt acknowledge this year’s 40th anniversary of Queen’s biggest-selling studio album to date, News of the World from 1977, which yielded the immortal anthems “We Will Rock You” and “We Are the Champions”. Queen + Adam Lambert’s magnificent 2017 touring show has been custom tailored for the band by some of the world’s most cutting-edge creative talents. Responsible for design and production is Ric Lipson from Entertainment Architects Stufish Productions, renowned worldwide for their innovative work with artists such as Pink Floyd, the Rolling Stones, and U2, as well the opening and closing ceremonies of the 2008 Beijing Olympics. Making use of over 300 moving lights during the show is the highly acclaimed lighting designer Rob Sinclair, who has illuminated tours for major artists including Adele, Peter Gabriel and Kylie Minogue. The production’s genuinely eye-popping laser elements are the work of ER Productions, behind both the opening and closing ceremonies of the London 2012 Olympics and seen by over 900 million people worldwide. On the musical side, the Queen + Adam Lambert touring band also features Spike Edney on keyboards, Neil Fairclough on bass, and Tyler Warren on percussion. Since first sharing the stage for the American Idol final in May 2009, Queen + Adam Lambert have proved to be a hugely successful global partnership, having now played more than 90 shows in every corner of the world. In summer 2012 they played their first full live shows across Europe, making their spectacular official debut in front of half a million people in Kiev. When Queen + Adam Lambert played their first North American tour in 2014 they were crowned Band of the Year at the 10th annual Classic Rock Roll of Honor awards and Best Live Band of the Year in Ultimate Classic Rock’s reader’s poll. 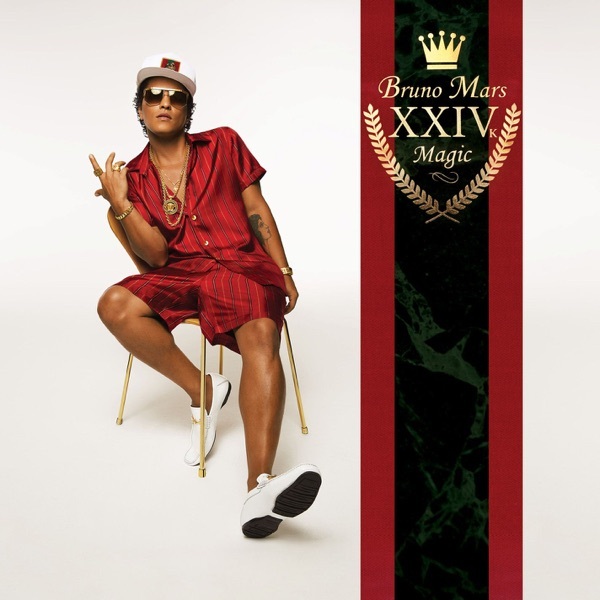 This critically acclaimed tour was followed in 2014 with massive summer festivals in South Korea and Japan, and a sold out arena tour of Australia and New Zealand. 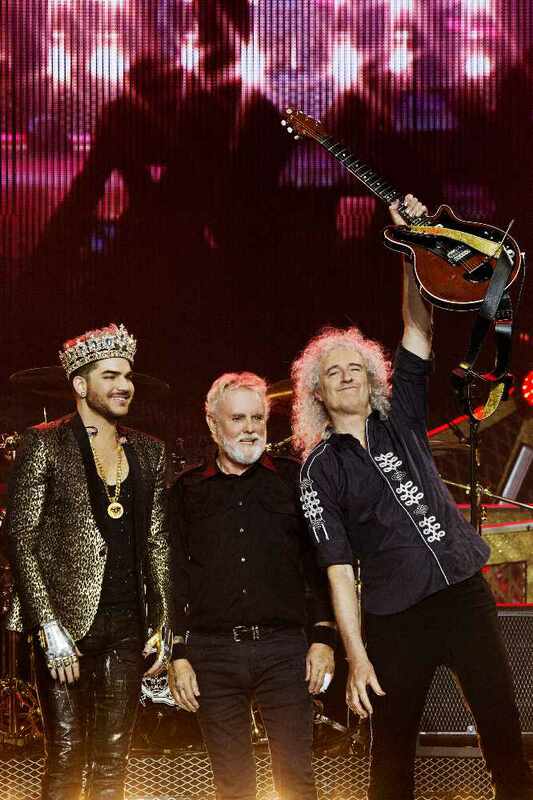 2015 proved a logistically challenging year for the band with 24 more sold-out dates in 10 countries right across Europe, a return visit for Queen, this time with Adam, to Brazil and Argentina, to headline Brazil’s Rock in Rio’s, and shows in Argentina and Chile. 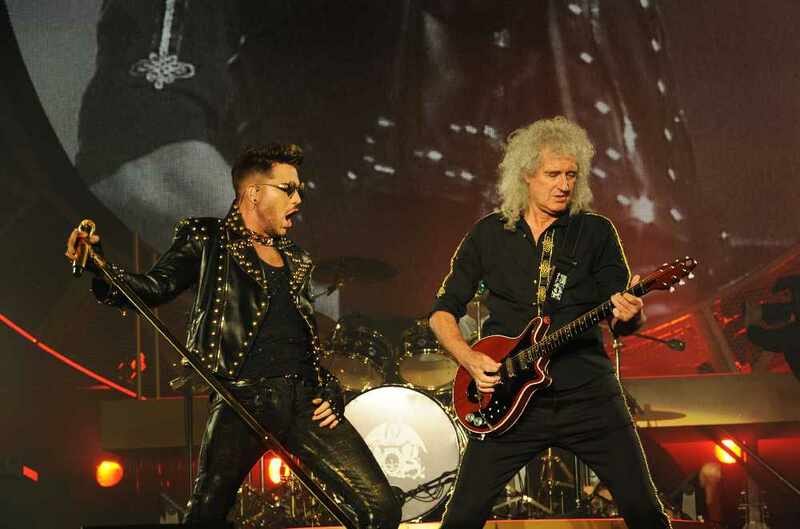 Summer 2016 saw Q + AL headline 15 more European festival shows beginning with Portugal’s Rock in Rio Lisbon, where they played to 74,000 people on opening night, later followed by an extensive arena tour across Asia including three nights at Tokyo’s famed Budokan.